The walls came down today at Hogsmeade station! Potter fans can rejoice as Diagon Alley seems to be one step closer to opening! Both Hogsmeade and Diagon Alley’s walls came down revealing the front that everyone wanted to see. 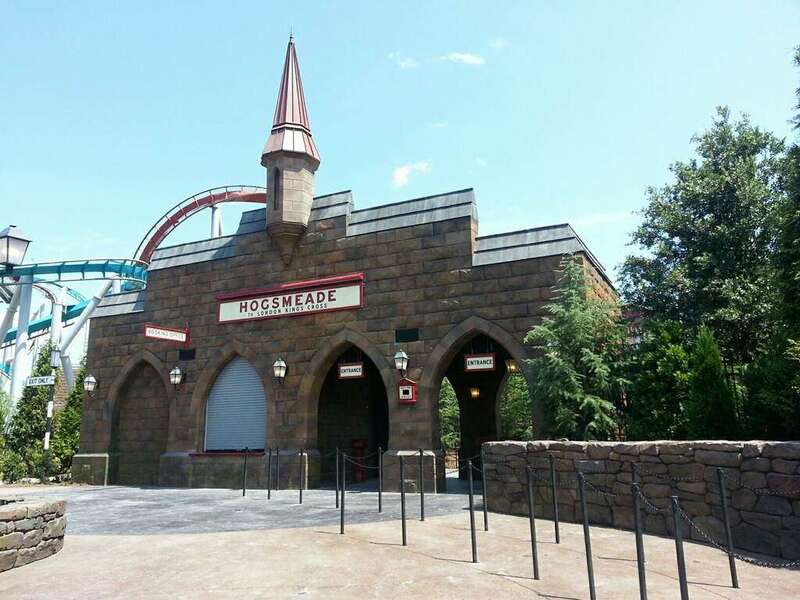 We have exclusive pictures from Hogsmeade station thanks to one of our awesome readers Nicole! We will be receiving the exclusive pictures from Diagon Alley in the next few hours so make sure you check back for more! We also have heard some inside information about the opening of the attractions. Apparently looks can be deceiving because what looks to be a finished project could be far from it. Sources who work in the park are saying that a lot of finishing touches still have to take place in Diagon Alley. Word is that the Hogwarts Express is ready to go, however Universal is waiting on a final “go” from the creative team with J.K. Rawling. Soft opening could happen any day now, however most are thinking the media event will be the first time anyone will see the inside of Diagon Alley. Check back for more information and news from in and around Orlando!